Despite Valfars decision of taking in five new members to his band, the sound of the band have not changed THAT much since Arntor. Likferd is a much darker album though, and it's pretty ironic with the title also, it is a bit like it could have haunted that poor man. There is much more black metal influence in the heavy riffs, but there are also the well-known guitar melodies, just feeling more dark and sorrowful while keyboard have been added to the album to help create more atmosphere. The use of folk instruments on the album is still limited to accordion, which Valfar only uses in the song "Fagning", and only for about twenty seconds as a part of the intro part. The guitar is still the main instruments when it comes to putting the folk-influence in the music, while the synths can pop in at times such as in "Blodssvik" where the heavy music stops only to make space to some dark, but beautiful atmosphere, the album cover fits well for that picture I am having in my head, the heavy guitar kicks in, before letting the synths go on with some electronica sounds even, but it sounds really great though. The mood and atmosphere of the album is dark and sorrowful as mentioned earlier. The title and picture describes it well, "Burial". The songs are varied and memorable, having their own story in the music, you don't need to listen to the lyrics, especially because those in Sognamål might be hard to understand.. And Valfars vocals are harsh as always. It's pretty hard to hear what he's singing without reading the lyrics. Throughout the whole experience the vocals doesn't really get away from the typical black metal voice, a bit less-shrieky than usual black metal. At times, Cosmocrators clean vocals are being put in, and they are stronger than the clean vocals on Arntor for instance. They are beautiful and fits the music nicely. They are not being used too much either and helps the album getting even better. The production of the album is kinda thick, but still good. It can't be compared to black metal releases at all. The sound is a bit heavy, the drumming are put below the guitar and bass, the bass not being heard very often, but there are some really really good basslines, like in "Fagning" along the previous mentioned accordion, where the guitar is not present. The drumming buy Steingrim is decent, I must admit that his drumming has never really been anything special at all, it's decent, but nothing new. On this record there is a lot of blast beats being used, though. But again, the drumming is put a bit away and is not really anything you put much attention to throughout the album. Sture and Strom are a brilliant guitar duo putting out good black metal riffs and with some high note playing along, which is a Windir "trademark", solos are also being played between verses as in "Blodssvik". So they are definitely the highlight the album. But I'd say that all the music put together creates a great great atmosphere and everyone is doing their job very well. There are more blackish songs, such as "Despot" and "On the Mountain of Goats", where the high note playing is not very present and the tempo is much faster than usual, riffing wise. I consider "On the Mountain of Goats" the worst song on the album, it's fast riffing and decent vocals. I always skip it to be honest. But it's the only bad thing on the album. Despot has more use of synths at times, changing the songs tempo down. The riffing here is varied black metal riffing, and it's a good different song compared to the much high note playing. All in all, this album is very very good! The best along Arntor I would say, it's a bit more blackish, but still very good. The use of synths and guitar melodies here is top notch and the atmosphere is dark, in both an evil way but also a very sorrowful way. Likferd was a nice "ending" album from Valfar. 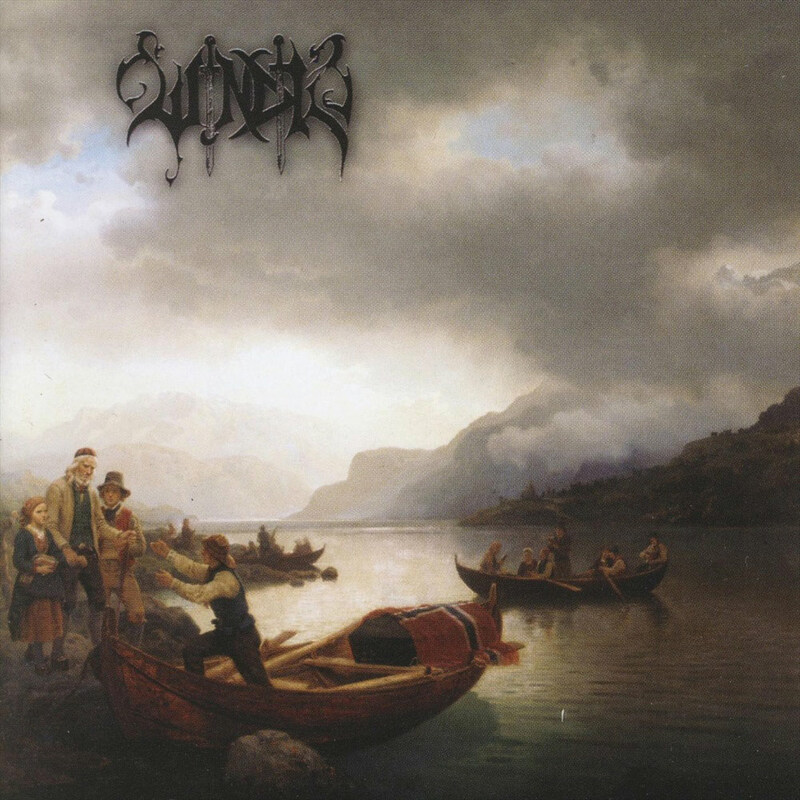 If you are into something different black metal, try out it out, if you are a Windir fan, get it!